Today we are going to take a look at a new technology of connectivity, namely 10G broadband. Now the term 10G may confuse a lot of people who are familiar with the currently popular and developing 5G network. 5G literally means the fifth generation of mobile network connectivity. However, 10G is not the tenfold of mobile networking. Here the G means gigabytes and not generation. 10G is actually a trademark of the NCTA which is the American broadband industry’s principal trade association. Scroll down to know details about it. 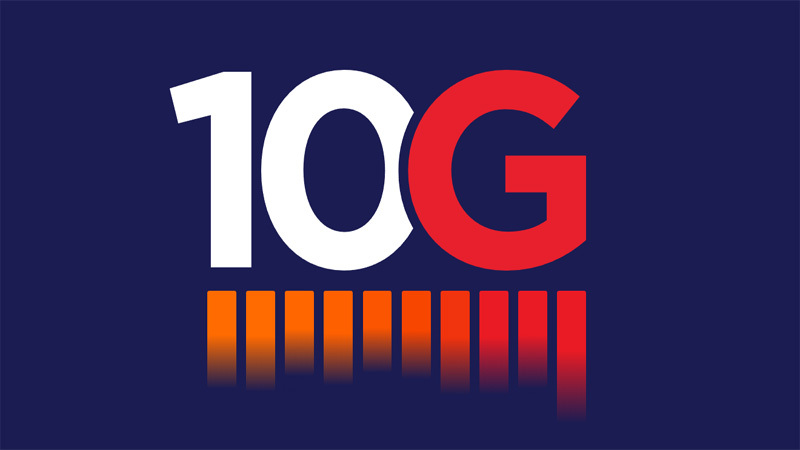 10G broadband actually refers to the new household broadband connection that gives a speed of 10GB per second. Like 5G, 10G is still being developed by some network operators around the globe. Operators like Comcast, Vodafone, Taiwan Broadband Communications, Telecom Argentina, and many more. The 5G connection between the host and the operator will be a wireless one. No fixed connections are required, but the speed is also expected to be limited to 1GB per second, which is eventually expected to translate to 100MB per second due to the heavy traffic on the spectrum. On the contrary, the 10G broadband connection is being developed as a fixed wired home connection. It will follow on the traditional connection pattern with no wireless gaps between the operator’s network infrastructure and the subscriber’s homes. Besides seemingly faster speeds than wireless connections, 10G broadband will also have some additional features. This includes lower latency periods, better computation speeds and more security than the heavily jammed wireless ones. But the development won’t be a rapid switch. It will definitely take some time and development before the final 10GB beefy speed is attained. How Fast will 10G Broadband Really be? Imagine downloading a 25 GB file from any hosting site. In the case of the upcoming 5G connection, which is predicted to offer 100MB per second, it will take around 10 minutes. On the contrary with 10G broadband, you will be able to download the file within a matter of five or ten seconds. As far as the future is concerned, this will be a huge advancement for our hospitals, emergency rescue centres, online streaming and much more. The application for high-speed internet in a smart city will be essential for further development of the city. However, the 10G broadband won’t actually be a competition to 5G. Both of them are expected to compliment each other and provide faster speeds both in the wireless and wired categories. Surely both of these connections will take a lot more than a few months to develop completely. Even though for now 10G broadband is mainly a work in progress for the United States, but as per reports, we can expect it to expand to other countries by 2020.